Edinburgh can be a pretty busy place and there are many city streets that need to be navigated and big cars aren’t quite suited to it. So join us as we take a look at the some second hand city cars that would be ideal for driving around Edinburgh’s City Streets. Maybe you have never really thought about the amount of time you spend in your car on a daily basis or the average distance you drive – it’s not something which comes to mind for many people. I drive a Skoda Fabia which, for those of you who don’t know, is a supermini or small family car. I bought mine for the sole purpose of saving money on my motoring – I live and work in the city and usually only drive up to ten or fifteen miles a day. It made sense to buy something economical, and considering I used to drive an Audi A4 the savings have made a really positive impact on my disposable income. It is not just at the petrol station where you see the difference – it’s everything from tax and insurance to MOT and servicing. I’m going to talk about a few of the cars which I believe are up there with the best models for low mileage drivers. 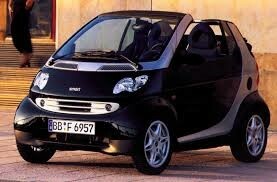 Smart cars are some of the smallest vehicles on the current market. I have never driven one but a close friend of mine bought a used Smart City-Cabriolet last year so I’ve had many experiences as a passenger. What I can say with confidence is that the City-Cabriolet is a really fun vehicle on the road and you’re never going to have any difficulty finding a parking space for it. Because it’s so small emissions are low and most engines qualify for free road tax. Probably the only negative I noticed when inside one was that the ride can be a little firm. ain motorists’ needs. 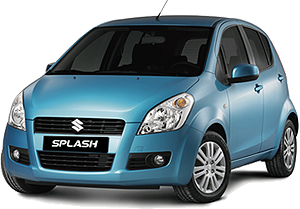 One of my favourite city cars which offers a lot more space inside is the Suzuki Splash. The Splash comes in the form of a 5-door hatchback so accessibility is good too. Performance on the road is not quite up to the standards set by some of the class leaders, but the Splash makes up for this with style and interior comfort. The Renault Clio is one of the most established superminis in the world and has now been around for well over two decades. Over time its exterior shape has changed quite significantly, and the latest model looks better than ever in my opinion. You get a lot of standard equipment inside – more than in most city cars – and it’s incredibly economical. You can get a second hand Renault Clio for less than £2,000, although latest generation models will cost significantly more than this. 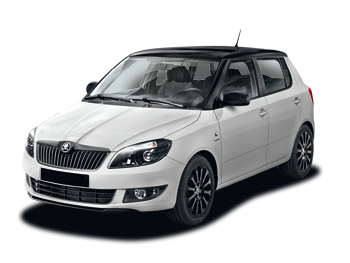 I couldn’t talk about my recommendations without mentioning my own car, the Fabia, and it’s one I’d wholeheartedly implore you to consider if you’re looking for something economical to run you around town. It’s a nice car to drive and there’s lots of room inside. Personally I don’t have a bad word to say about the Fabia; it has saved me countless money on fuel and insurance and I don’t pay road tax either. Moreover, second hand Skoda Fabias can be bought at bargain prices – usually under £4,000. Previous PostIs Leasing Right For You?